The last two phrases about walking or running away are of vital importance in playing poker. You have to know when to leave a poker game, because if you’re keen, and sincere about winning, you’re focusing energy and emotion on the game, and that level of intensity and tension cannot be maintained for very long. You might be playing at your highest level at one point, but what happens when you start sliding down? It is really essential to have a feel for the right time to leave the game, depending on your own weaknesses, or the way the luck is running. This is the mark of a good player and it is what differentiates the amateurs from the professionals. Undoubtedly this is a skill best acquired over time and by playing many games of poker, but most of all you need to understand yourself and recognise the signs. If you know your own game of poker well enough and its strengths and weaknesses, and can learn to assess your situation at any point, you’ll avoid losing a lot of money. And this is the most important aspect of playing the game. Quitting is a fine art. It’s not a good idea to quit just because you’ve run out of money or because everyone else has left the table! You need to have a valid reason to quit because it suits you. Time pressures are never good either, if you know you’ve got nothing to do for a few hours, it doesn’t mean you should continue to play poker if you are not performing well. Basically you are not deciding to continue playing poker for the next few hours, you are deciding to lose money for the next few hours. Similarly don’t set limits if you’re winning, though. If you’re on a roll, stay on it! You’ll find that the confidence and power you get from being on top will help you remain on top of your game and keep winning. Even if you’re losing, but know you’re playing well, you shouldn’t necessarily quit – your luck could easily change as long as you are playing well. When your making lots of mistakes that you know you don’t normally make. If losing upsets you on an emotional level and you’ve just taken a big hit don’t hang around winding yourself up more – this is always a sure case to carry on a downward spiral. Fatigue is another reason to stop playing. Freshness and general well-being are always conducive to winning. 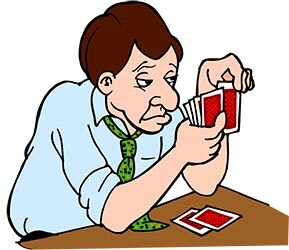 Poker is a game of patience and concentration and the more fatigued you are the less you will perform in these two areas. When you play, your performance will be enhanced if you are physiologically and psychologically fit. Breaks refresh you and bring you back to the game with new energy. Try and develop and master your own techniques of quitting, of leaving a game gracefully and at the right time, and you’ll find an amazing difference in the size of your winnings. Good luck with your quitting!